AlmiGKompressoren is our business partner for world class Air treatment solutions. We provide a wide range of Screw Air Compressors Piston Air Compressor Turbo Compressors Blowers Air Dryer Filters, Separators and other Accessories. 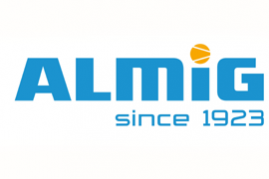 AlmiG is renowned name in Pakistan Industry. We have provided a number of AlmiG Air compressors to Pakistan industry.